The Clio Cloud Conference is all about being creative and breaking the mold of traditional legal work. In many ways, being a law student or young lawyer is an advantage. You don’t have the bad habits and frozen mindsets that many lawyers have constructed over decades of routine legal work. As a law student, you have the ability to bring a fresh perspective to an industry that desperately needs one. Want proof? Both of us are very recent graduates who have traveled around the country and spoken on national stages about innovations in the legal profession. And here we are writing a post for Before the Bar, pretending we know what we’re talking about. Best of all, here you are reading it. 1. Quality networking is about making friends. Networking is great, but you know what’s better than a network? Friends. A network will get coffee with you and advise you on your career goals. Friends will hunt down insider knowledge for the interview you have in a week. No matter how good a seminar is, the real learning comes when you sit down with a friend afterward to debrief and talk through new ideas. The Clio Cloud 9 doesn’t have designated “networking time” like a lot of conferences do. Instead Clio brings together a group of passionate people with similar interests in a fun city and creates opportunities for them to get to know each other. The goal is not to collect business cards, it’s to get to know people. Team Clio has learned that getting to know someone beyond their job title is the best and fastest way to build lasting, meaningful connections. As a law student, it’s important to resist the (very reasonable) temptation to equate networking with job seeking. Networking is a long game: focus on making friends and the job (or whatever else you need) will follow. 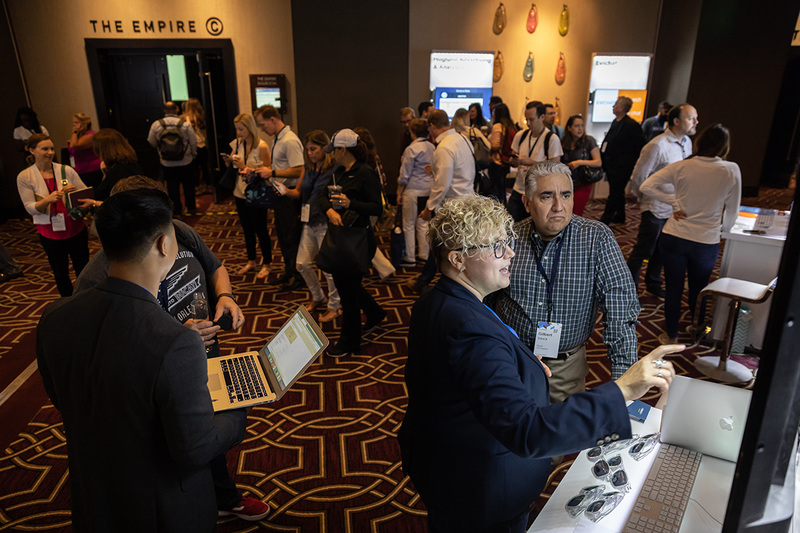 Law schools are just beginning to talk about this in a meaningful way, but at the Clio Cloud Conference, you see examples of non-traditional careers in full force. You’ll meet lawyers who create data-driven programs, build technology, run media companies, and advise other lawyers on business practices. You will also meet other professionals who have built their career or companies on improving the delivery of legal services like law office administrators, software developers, designers, or project managers. The Clio Cloud Conference showcases many “firsts” in the legal field. The possibilities for having a successful career in law are endless. And if you don’t see or hear of anyone doing what you want to do, the extraordinary people you meet will have you believe that you can be a “first” too. 3. Don’t fear the future. Shape it. Despite what you might have heard, the future of the legal profession is not all doom and gloom. The field is not oversaturated with too many lawyers. Our profession will not be replaced by artificially intelligent robots. And, you do have the power to shape the future of the profession, even as a law student or recent graduate. Take for example access to justice. The Legal Service Corporation’s 2017 Justice Gap report shows 86 percent of the civil legal problems reported by low-income Americans received inadequate or no legal help. The old methods of delivering legal services are not enough. We as a profession must come together and find new ways to incentivize innovation and deliver high quality legal services at lower costs. Conversations about how lawyers can achieve this goal are recurring throughout the Clio Cloud Conference. Perhaps the best example was Patrick Palace and Nicole Bradick’s recent “Future of Law Workshop:” a room full of lawyers and legal professionals taking a proactive approach toward shaping the future of our profession. Speaking of the future of the profession, while there’s still tension between lawyers resistant to tech and lawyers excited to adopt it, it’s clear that tech-savvy lawyers are going to come out ahead.. Nowhere is that more obvious than at the Clio Cloud Conference. 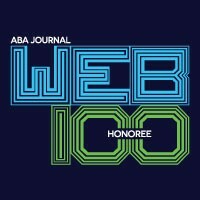 This year’s conference hosted two companies striving to create robot lawyers, multiple companies using AI to streamline and automate legal research, and a host of lawyers who have adopted technology as a way of increasing client service (and profits) without increasing staff. While some attorneys resist new technology, the attorneys at the Clio Cloud Conference are running toward it. As Clio’s Lawyer-In-Residence, Joshua Lenon, noted, “this group of solo and small firms has grown in technological competency. They’re not asking should I use [legal technology], but what is the next tech to adopt?” As the future of the profession, law students and recent graduates are expected to be well-versed on emerging technologies. 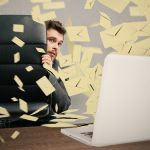 If you’re “not a computer person” now, you should look into becoming one. 5. The legal industry isn’t special. For many lawyers, most of their knowledge about the legal profession comes from law school. The problem is that law school teaches a lot about the law, but very little about client service or building a business. The good news is, those things can be learned from other industries. Even though many lawyers you encounter will be hesitant to admit it, law is a business like any other. The tried and true methods of innovation and client service that have worked for years at companies like Amazon, Twitter, and Uber will work in the legal profession too. The most successful lawyers (however you define success) you’ll meet at the Clio Cloud Conference have learned to think outside the legal box. Not content to rely solely on their legal education, they’ve taken production plans from Toyota, management skills from Apple, and innovation strategies from Google. And what they’ve built are law firms that focus on client service while creating a healthy and fun work environment. 6. Conferences can be fun and CLEs can be engaging. Odds are as a law student you haven’t attended many CLEs or conferences yet, but you will soon. And unfortunately, many of them will be dreadfully dull. Even at some of the most informative conferences, it can be hard to stay engaged. But it doesn’t have to be that way and the Clio Cloud Conference proves it. 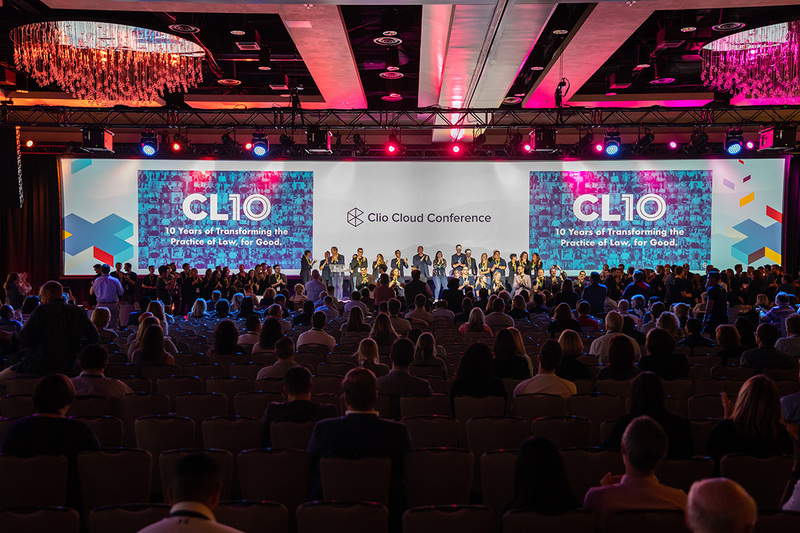 Whether it’s a second line down the aisle of seats or Jesse Harink cheering to wake you up, the Clio Cloud Conference is exciting. The speakers are educational, the topics fascinating, and every spare moment can be spent in engaging conversation with some of the most brilliant legal professionals in the world. Yes, the Clio Cloud Conference is unique, but if you take the lessons of the conference home, every conference can be a great one. Wherever you go, seek out the people who share your passion and interests and spend your spare time with them. Everyone needs to eat, and Irene likes to use food as a bonding experience. Immerse yourself in the conference and commit to learning something from every session (even the networking sessions). If and when you start taking speaking invitations, remember that audiences learn better when they are engaged and entertained. Most importantly, you can change the attitude of a room just by displaying your own curiosity and excitement. 7. Legal innovators are a lot cooler than your average lawyer. Okay, you don’t need to go to the Clio Cloud Conference to learn this, but the conference is best place to witness it happening in person. 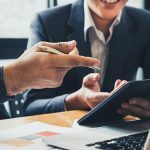 Your legal career will be littered with more experienced attorneys warning you about all the things you can’t and shouldn’t do (we’re a very risk averse profession), but legal innovators will encourage you to pursue your wildest legal dreams. 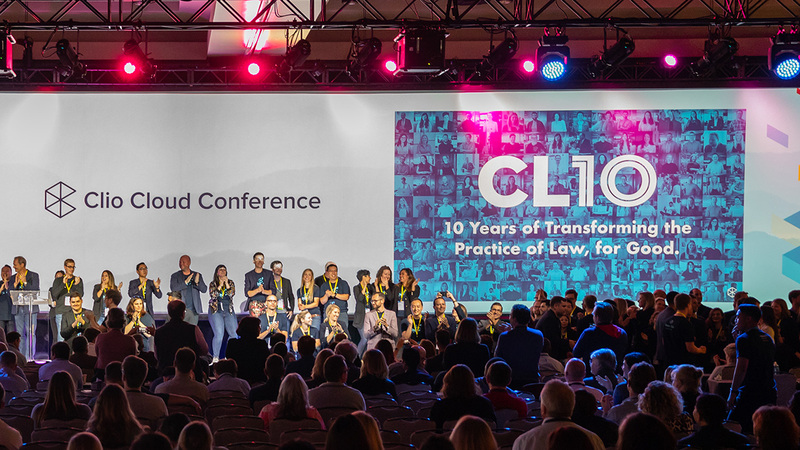 Getting a job through social media might seem like folklore, but at the Clio Cloud Conference, you can meet legal legends and hear their stories first-hand. Dan Lear, Chief Instigator of Right Brain Law and Clio Cloud Conference attendee, has frequently talked about how Twitter has been instrumental in his career development and in helping land his previous job at Avvo. Love to travel and want to run your own practice from remote locations? Not only will you be able to draw advice from speakers at the Clio Cloud Conference, but many attendees can be a resource as well. Or maybe you just want to find a way to break out of the traditional billable hour model. Hundreds of legal innovators at the Clio Cloud Conference would be happy to talk you through viable alternatives. 8. It’s important to occasionally step back and reflect on your practice. We can’t stress this one enough. Rarely at the Clio Cloud Conference do you catch lawyers hiding in a corner working on client matters. Not that it doesn’t happen (#guilty), but it’s uncommon. At a lot of other conferences doing regular work is common, but at the Clio Cloud Conference, there is a sense that you’re there to take a step back from everyday life and reflect on your practice. Lawyers who embrace this opportunity quickly realize how beneficial reflection can be. Especially in your early years of practice, it will be easy to fall into the trap of always feeling overwhelmed. And it can be really hard to step away from your work, but if you don’t, the problem only gets worse. When you take time (even just a couple days) to reflect on your practice you give yourself an opportunity to find new and better ways of getting things done. If you’re like Jordan, you may find that ideas start coming to you as soon as you get on the plane and turn off your phone. (Pro tip, always travel with a notebook and pen). Stepping back is also important for your health and happiness. 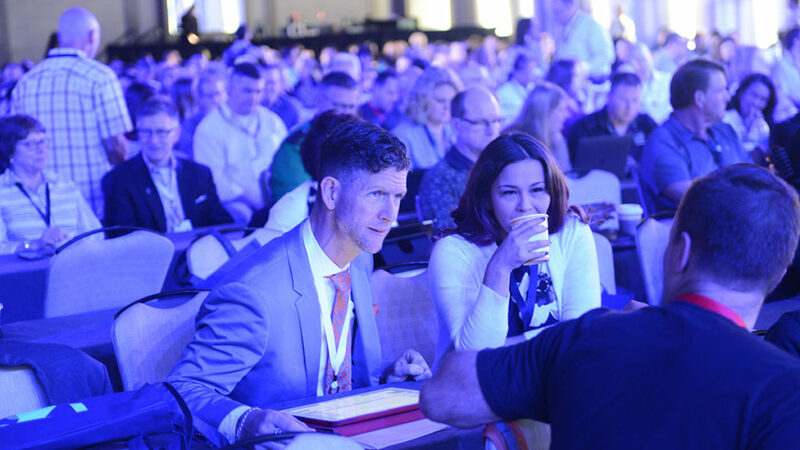 At the last Clio Cloud Conference keynote speakers Bill Burnett and Dave Evans taught attendees how to be mindful of which tasks are mentally and emotionally energizing and which are draining. No matter how much you love it, legal work has a tendency to drain a lot of energy, but a good conference can bring you back to life. After three days in New Orleans, we were physically exhausted, but we were more mentally and emotionally energized than we have been all year. 9. Whatever your experience, you have something to contribute. This is a hard truth for law students to understand. We spent most of our first conferences hiding in the back of the room, wondering how we could ever be as impressive as the speakers on the stage. Funny thing is, at the Clio Cloud Conference the speakers are the most impressive we have seen anywhere.Yet, the community of the conference makes you feel like you could be up there with them. And you can! Jordan Couch and Irene Mo Jordan L. Couch is an attorney and Cultural Ambassador at Palace Law where his practice focuses on plaintiff's side workers’ compensation and personal injury litigation. Outside of his practice Jordan is heavily involved in state, local, and national bar associations, advocating for a better, more client-centric future to the legal profession. Find him on Twitter at @jordanlcouch. Irene Mo is an attorney based in the Bay Area. Previously, she was a fellow with the ABA Center for Innovation focused on the privacy and data security risks. For her work at the Center, Irene was recognized one of 18 Millennials Changing the Face of Legal Tech and Women of Legal Tech 2018. Before her fellowship, Irene built her litigation skills through several internships and her law school's Trial Practice Institute. Find her on Twitter at @imokx.